Combining the charm of a historical building with the comfort of modernity, we are located in the heart of the historical city, on the main boulvard in the Budapest Soho area - the nightlife quarter as well as next to all the major transport networks and 1 min walk from the main station. This means you dont have to waste your time and money to travel around - the major historical and fun areas of Budapest are all walking distance from the Interflat Hostel. As our goal is that you spend a perfect time with us, we have redesigned the common areas in a retro, 80s style, you have acces to free internet, a big kitchen were you can cook your own meals, a big living room to party and meet your fellow guests and most importantly, great beds in spacious rooms, with balconies or big windows to the city. Our well-travelled, friendly staff would make sure that you get to know to the city and the real Hungarian atmosphere. 24/7 they are on duty ,eager to help you, grant security and cleanliness in the hostel. 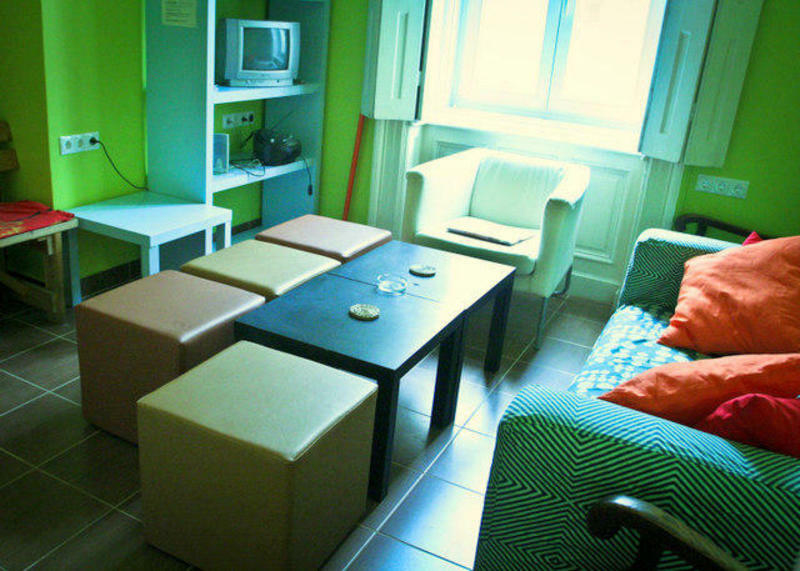 We offer dormitory accomodation to those who prefer the lively backpacker feeling, and want to get to know fellow travellers. Besides, private apartments are suited for those who would rather have quite, cozy accomodation. all you need to do is contact us! Please note that we only accept cash payment.